Rosetta LeNoire (born Rosetta Olive Burton; August 8, 1911 – March 17, 2002) was an American stage, screen, and television actress, as well as a Broadway producer and casting agent. LeNoire is known to contemporary audiences for her work in television. She had regular roles on the series Gimme a Break! and Amen, but is perhaps best known for her role as Estelle "Mother Winslow" (Carl's mother) on Family Matters, which ran from 1989 to 1998. In 1999, she was awarded the National Medal of Arts. Lenoire was born in Harlem, New York, as the eldest of 5 children to Harold Burton, who was from Dominica and Nymarie Edith Jacques Helwig, of Jamaica in the West Indies. As a young girl, LeNoire suffered from rickets, which her godfather, Bill "Bojangles" Robinson, helped her overcome by teaching her to dance. LeNoire made her acting debut in a 1939 production of The Hot Mikado, starring Robinson, in which she played "Little Maid From School" Peep-Bo. She also appeared onstage, mostly as a singer and dancer, in I Had a Ball, Bassa Moona, Marching with Jimmy, Janie, Decision, Three's a Family, Destry Rides Again, and the Off Broadway Double Entry (two one-act musicals showcasing Lenoire: "The Bible Salesman," with a pre-SNL Garrett Morris, and "The Oldest Trick in the World" with Jane Connell). Rosetta LeNoire championed the cause of racial equity for more than 70 years. Her efforts profoundly influenced the New York theater community. In 1968, using her own savings, LeNoire founded the AMAS Repertory Theatre Company, an interracial theatre dedicated to multi-ethnic productions in New York City. With this company, LeNoire created an artistic community where members' individual skills were recognized without regard to race, creed, color, religion, or national origin. She became a successful and groundbreaking Broadway producer. The Actors' Equity Association awarded her the first award for helping contribute to the diversification of theatre casting; in 1988, the award was named the Rosetta LeNoire Award. Amas Repertory Theatre provided a nurturing atmosphere for actors, and a community performing arts center. Throughout its history, many of the company's productions garnered reviews in The New York Times. The long-running theater's cramped headquarters were originally located at 1 East 104th Street, in the uptown neighborhood known as East Harlem. The theater continues today as Amas Musical Theatre, now located midtown on West 52nd Street above Jersey Boys, and carries on LeNoire's dream of diversity in the creative and theatrical arts. Since its inception, Amas has produced over 60 original musicals. Many of them have gone on to Broadway, including Bubbling Brown Sugar, which received a Tony Award nomination in 1976 for Best Musical. On March 17, 2002, LeNoire died at Holy Name Hospital in Teaneck, New Jersey of complications from diabetes, although an article in TV Guide reported that she died of pneumonia. A resident of the Lillian Booth Actors Home in Englewood, New Jersey, she was 90 years old at the time of her death. 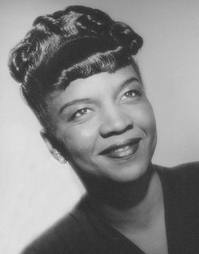 The Rosie Award, named for Rosetta LeNoire, "is given to individuals who demonstrate extraordinary accomplishment and dedication in the theatrical arts and to corporations that work to promote opportunity and diversity", with past honorees including Ossie Davis and Ruby Dee, Geoffrey Holder and Carmen de Lavallade, Leslie Uggams, Maurice Hines, Phylicia Rashad, Woodie King Jr., Dionne Warwick, and George C. Wolfe. 1960 Play of the Week Belle Episodes: "Seven Times Monday" and "The Velvet Glove"
1962 Armstrong Circle Theatre Kathy Episode: "Journey to Oblivion"
1966 ABC Stage 67 Woman Episode: "The Love Song of Barney Kempinski"
1971-72 The Guiding Light Leona Herbert Episode: "Not with My Cousin You Don't"
1973 Calucci's Department Mizzi Gordon Episode: "The $80 Heist"
1978 Fantasy Island Cool Shade / Darryl (voice) Episode: "Family Reunion/Voodoo"
1984 Great Performances Rheba Episode: "You Can't Take It with You"
1985 Tales from the Darkside Miss Gillis Episode: "Parlour Floor Front"
1998 Cosby Nurse Episode: "Playground Scar"
^ TV Guide April 27-May 3, 2002, p. 10. ^ Martin, Douglas. "Rosetta LeNoire, 90, Producer Who Broke Color Bar, Dies", The New York Times, March 20, 2002; accessed September 13, 2011. ^ "Amas Musical Theatre benefit on Oct 25 includes concert presentation of 'RAISIN'", BroadwayWorld, October 12, 2004. ^ "Blast From the Past Benefit Concert", Theater Mania, April 4, 2011. This page was last edited on 13 April 2019, at 04:48 (UTC).